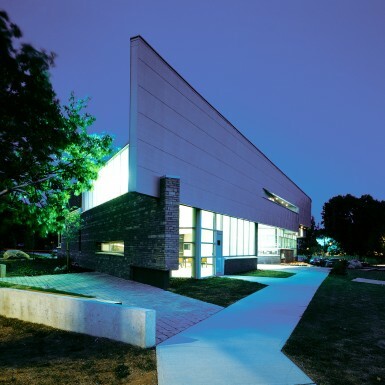 Commissioned to replace an outgrown local facility, Eatonville Library is situated at a fast-growing edge of Toronto near the intersection of a major arterial street and a regional highway. 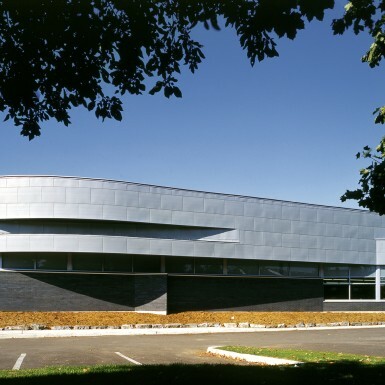 The new building presents a graceful arcing wall to the highway and a straight edge to the slower arterial road on north side of building. This design is inspired by the unique condition found where urbanity ends and the high speed vehicular movement of the highway begins. The curving zinc band reflects the dynamism of the major thoroughfare, a gesture that can be read from a distance and at highway speed. This band stretches between the more static, grounded stone walls which anchor the building to the urbanity of the street, creating a tension between the local site and its larger environs. 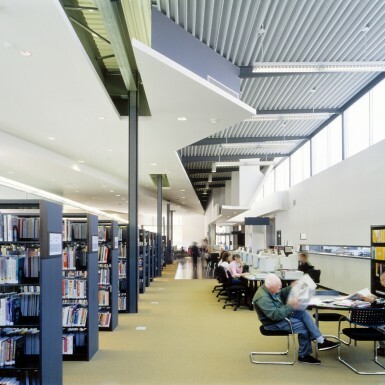 By virtue of its corner siting near the arterial road, the new library simultaneously reinforces the public character of the arterial street, while reading as a figure in the ground when viewed from the East Mall—the suburban condition to the west. 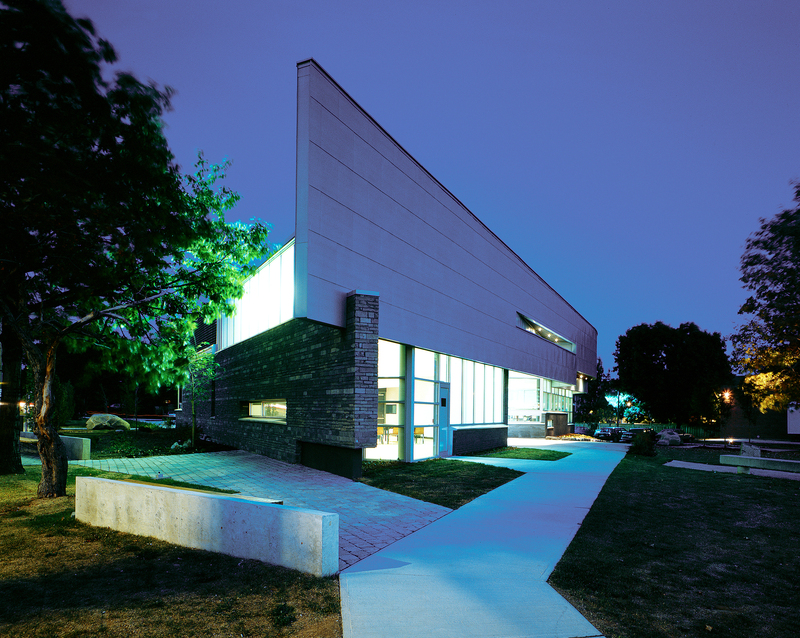 A simple entry sequence splits the library’s two public volumes into a community room on the corner and the main public service area. Reflecting the tension of the band outside, “crumpled” ceilings stretch between the exterior walls, pulling away to reveal the structure of the building.